MPhA Virtual Coffee Break: Nondiscrimination: Are You in Compliance? Nondiscrimination: Are You in Compliance? Discrimination is a hot topic! Are you compliant? If you receive any payments from government programs for goods or services, then Section 1557 applies to you. In addition to prohibiting discrimination, it gives patients who have experienced discrimination the right to civil litigation. This program will cover the background and key provisions of 1557, including examples of discrimination, and provide information and tools that you can use for staff training and to ensure compliance. Denise Frank has 30+ years of experience as a pharmacist. Currently she is an independent consultant at Frank Consulting, LLC, and a Senior Associate with Gates Healthcare Associates, Inc., in the areas of pharmacy practice, technician training, compounding, pharmacy and wholesaler accreditations, and operational and regulatory compliance. She is also the Program Director for an ASHP/ACPE accredited online technician training program for CareerStep, and a certified consultant for ACHC. She is a former member of the Minnesota Board of Pharmacy. Previously serving as a surveyor and then the Accreditation and Inspection Services Manager for NABP, her responsibilities included development and maintenance of accreditation and inspection programs, and supervising NABP inspectors. Prior to this, she was an independent pharmacy owner, worked for a health system, and was a pharmacy manager and district manager for a pharmacy chain. 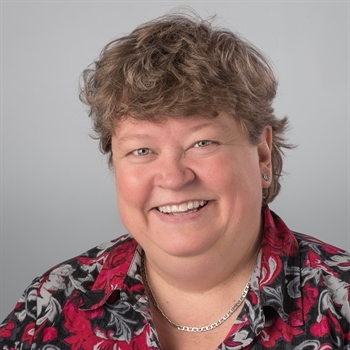 Denise is an active member of several national and state pharmacy organizations, and with the University of Minnesota College of Pharmacy serving as a mentor and a pharmacy alumni board member.